A family run business that has been trading for generations. Lynette and Jacquie have had the privilege of watching generations of families grow up before their eyes. 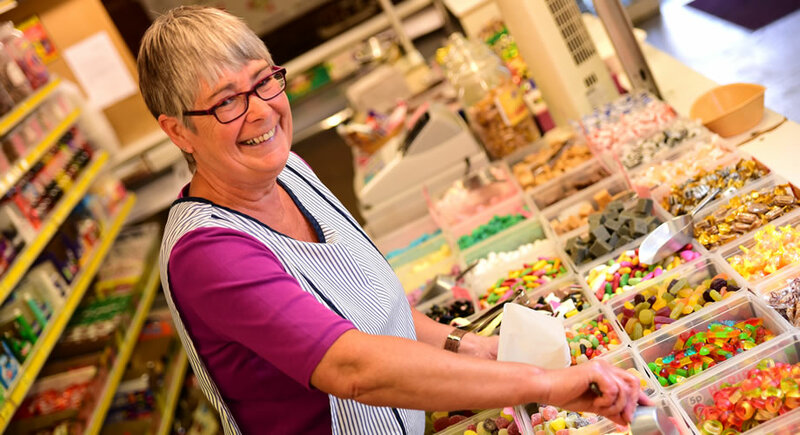 Our sweetshop is iconic for its variety of pick and mix and retro sweets. Visited by all ages you can choose your favourite sweets, ranging from jelly babies or mint chews, Pear Drops to Liquorice Allsorts, Wine gums or Flying Saucers and who can forget the delicately powdery, chewy Bon Bon? Keeping traditions alive, Lynette and Jacquie stock British traditional sweets. Tempted? Pop in and treat yourself to our selection of sweets and pic ‘n’ mix, the choice is yours!